Bombay High Court on Monday directed the film-maker of Hindi film 'Rahasya' on Aarushi Talwar’s murder case to show it first to Aarushi's parents. The parents who murdered teenager Aarushi Talwar on Monday insisted before the Court that they should be allowed to view the movie. Rajesh Talwar and his wife Nupur Talwar, who have been convicted in November last year and sentenced to life imprisonment for the murder of their daughter, have opposed the release of movie saying it is based on "a distortion of facts surrounding the gruesome murder of their daughter Aarushi and portrays the petitioners and their daughter in a bad light and throws a disgrace to their reputation." Last week, the Central Board of Film Certification submitted before the court that the movie was not based on the Aarushi murder. Movie has cleared CBFC sensoring with a U/A certificate in January. The court then asked the producer-director Manish Gupta whether he would allow a screening for a member of the family. On Monday, Atul Damle, counsel for the Gupta, informed the court that he was prepared to arrange a special screening for the Talwars' advocate on an assurance that he will not disclose the details of the film. But the Talwars' lawyer Anushak Davar pleaded that a family member should be allowed to view the movie. A division bench consisting of Justice VM Kanade and Justice AK Menon observed that the matter could be sorted out through one screening and asked Damle to take instructions from the producer-director on this. The court adjourned the matter till March 13. 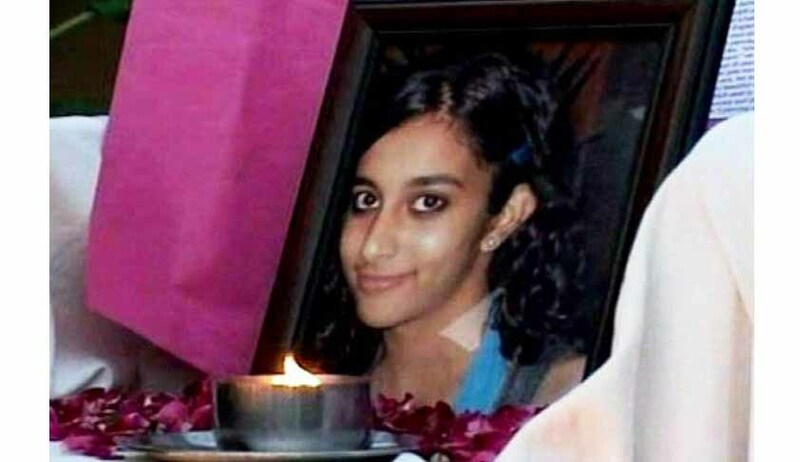 Teenager Aarushi Talwar was found murdered along with the family's servant Hemraj at their house at Noida in May 2008. Rajesh and Nupur, who are undergoing their sentence at Dasna jail in Ghaziabad, have appealed against their conviction and sentence in the Allahabad High Court. Read detailed report here.